Rate this Article Being a detective in Criminal Case may have made you emotionally numb towards murders to some extent, but there will still be times when you feel a pang of sadness when investigating a particularly tragic case. Here are some of the most tragic cases in Criminal Case. Being a detective in Criminal Case may have made you emotionally numb towards murders to some extent, but there will still be times when you feel a pang of sadness… and perhaps even signs of tears that have crept stealthily into your eye while investigating a particularly tragic case. These cases are often considered tragic if it involves a victim or a killer that you have been close to, such as a fellow law enforcement officer. However, some players may feel that a case is pretty tragic as well if it involved a young innocent victim who was merely in the wrong place at the wrong time. Regardless of how you define the word “tragic”, almost all Criminal Case players would agree that these 3 cases are among the top most tragic cases in the game so far. The most tragic case though would possibly be the "The Final Countdown". In this case, the crazed scientist, Tesla, had released 5 convicted killers from previous cases, namely Derek Stone, Bobby Prince, Veronica Blade, Greta Meduse, and Erikah Mabayo, to teach Frank Knight, one of the more devil-may-care detectives at the Pacific Bay Police Department, a lesson. Long story short, Frank was found shot point blank in the head, and the killer who did it, Bobby Prince, had only done it because of his misguided and extremely possessive love for Amy, another detective at the precinct. Frank’s death has not been in vain though and apparently Frank has managed to redeem himself in death by being part of the effort to save Pacific Bay from destruction. Granted that Frank himself isn’t a very likeable character due to his penchant for drinking on the job, insubordination, authoritative disrespect, and recklessness, he is the sort of person who is, deep down, a good person at heart. This is seen in the Hanging by a Thread case whereby Frank has helped to repair an old photo Yann (the resident forensic expert) with his parents and suggested a trip to White Peaks after the serial killer who murdered Yann’s parents was brought to justice. It was a particularly trying time for Yann, and Frank, together with your help, has helped him to get through it. The Pacific Bay Police Department held a funeral for Frank after the case was closed, and many of his colleagues have some touching things to say about him. The most memorable of all is what Erikah Mabayo, a voodoo priestess who supposedly is able to communicate with the dead, said on behalf of Frank: “Who needs whiskey when you’ve got family?” It seems that Frank is finally at peace with his deceased wife, Karen, and his two children, Laura and Daisy, in the afterlife. Besides “The Final Countdown”, “The Impossible Dream” case is a pretty tragic case as well. In this case, you have uncovered a plot by the shady society called the Promethians to bomb several of the major monuments in Europe in order to sway the results of the referendum for European unification. The only lead The Bureau has is Jacqueline Proust, but apparently, she was discovered as a traitor, and was brutally murdered (burned to death, to be exact) when she attempted to expose the terrorist organization to the police while laying low at the same time. During the investigation, Armand Dupont, the historian of the Bureau, was linked to her murder via his pocket watch that was found at the murder scene. He was incarcerated for trying to help by infiltrating the Promethians ranks, though eventually, he was released after the actual killer, the Promethian leader called Archibald Gilchrist, confessed to his crime. However, the case didn’t end there – you still have to find all the planted bombs and disable them. 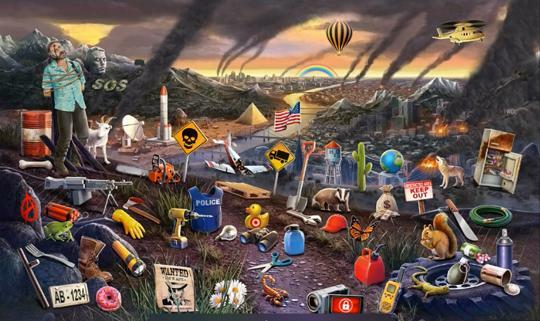 Thankfully, the tech expert at the Bureau managed to disable all the bombs. Everything went back to normal.... or so it seems. Unfortunately, during the celebration at Park Güell, a mysterious figure hit Chief Ripley with a blow dart laced with fast-acting poison. Even after being rushed to the hospital to receive intensive medical care, Chief Ripley had died. It hurts the most when one of your own, which in this case, the head of the Bureau, was murdered. What’s even worse is that you won’t be given the chance to immediately set off to catch the killer like in regular cases. If the above cases are not tragic enough, well, this last case would most certainly get those tear ducts working. The case is called “It All Ends Here”. It is one of the cases back in Grimborough, where a socialite, Adam Bentley, was murdered by a gunshot between his eyes on Grimsborough's Election Day. After a lengthy investigation and after a shocking turn of events, you found yourself being led to the prime suspect in the case - Samuel King, Chief of the Grimsborough Police Department. Samuel admitted to being Adam's killer, but he refused to tell them why. Instead, he took out his service pistol and pointed it at his head. Jones, your fellow detective, pleaded with Samuel, asking him not to take his own life... but Samuel’s mind has been set; he felt that he had no choice. In the moments prior to his tragic death, Samuel, with a gleam of tears in his eyes, told you and Jones that working with both of you had been an honor. This is the type of moments in the game will definitely make anyone go “Nooooooooo, don’t do it!” whether verbally or internally in their minds. 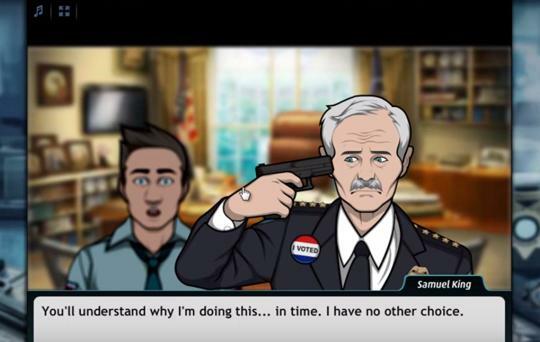 Criminal Case is as popular as it is today because of its ability to immerse its players into its world of brutal homicide, nefarious villains, and camaraderie among law enforcement officers. From this immersion, you as a player will be able to actually feel sad whenever something tragic happened in the game, despite you knowing very well that these are merely works of fiction. 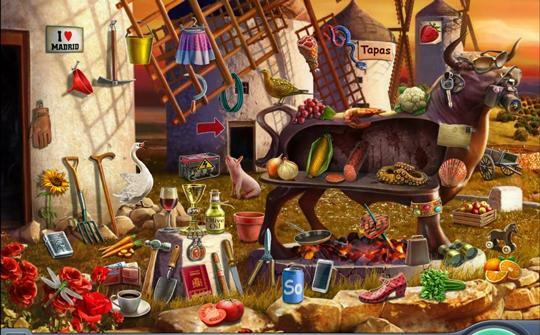 It is indeed a pretty impressive feat for a hidden object game like Criminal Case!